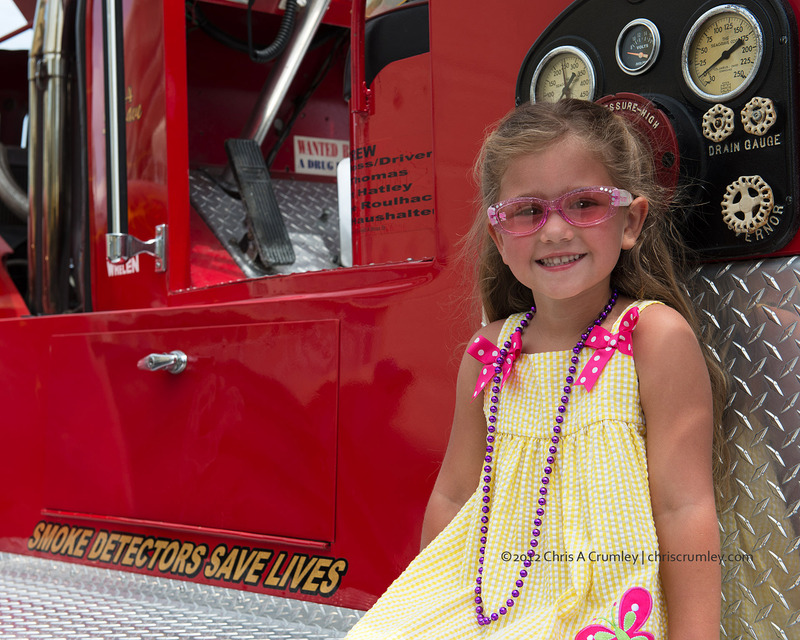 Young Jaylyn in her Mother's Day dress and pink sunglasses was one of the many children posing for pictures on the running board of the Monster Fire Truck on Mother's Day Weekend along the Virginia Beach Boardwalk. Master Firefighter, Justin H. Moss, was the truck's presenter. Justin's father, Don Moss, also a Virginia Beach firefighter, acquired the fire truck when it was nearly 50-years-old from a North Carolina fire department and guided the restoration and conversion to Monster Truck starting in 1993. The truck, big and loud, is used for educational purposes and sees parade duty (not towed - driven big and loud) and is on display at shows like the Boardwalk Show. Nice.